Thanksgiving is an ideal day for race. What better way to kick off the biggest eating day of the year than with a healthy calorie deficit? Knowing that the 2,000+ calories I burned off running would be more than made up for (seconds on pie, anyone? 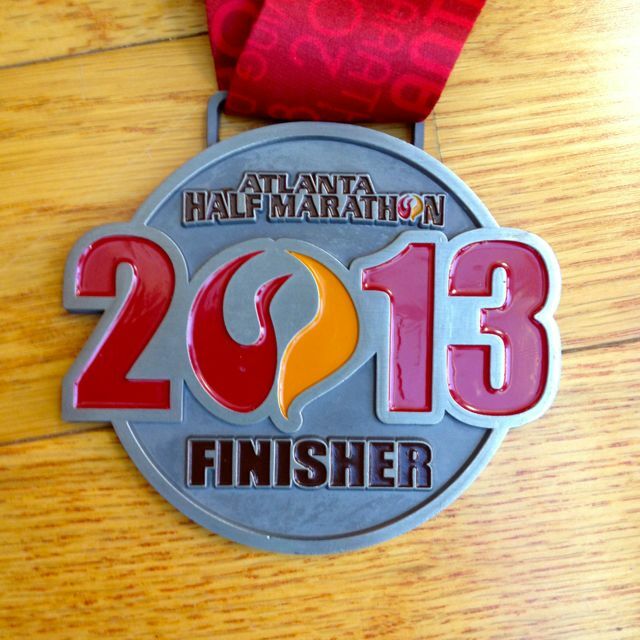 ), I signed up for the Atlanta Half Marathon as I’d be in town again visiting family. Besides, it sure beat having to help out in the kitchen (I’m usually relegated to peeling potatoes). This annual race (both Half Marathon and 5K) starts and finishes at Turner Field and gives runners a nice look at downtown Atlanta. This year’s “turkey trek” featured almost 8,900 runners (6,733 half marathon and 2,140 5K) and the 7:30am start time guaranteed you’d be home in time for the feast (and football). “Should old acquaintance be forgot”… now run! 2014 (the year of the horse, in case you’re wondering) is upon us. And it’s time to make immediately good on that resolution to run more and work off those holiday treats. 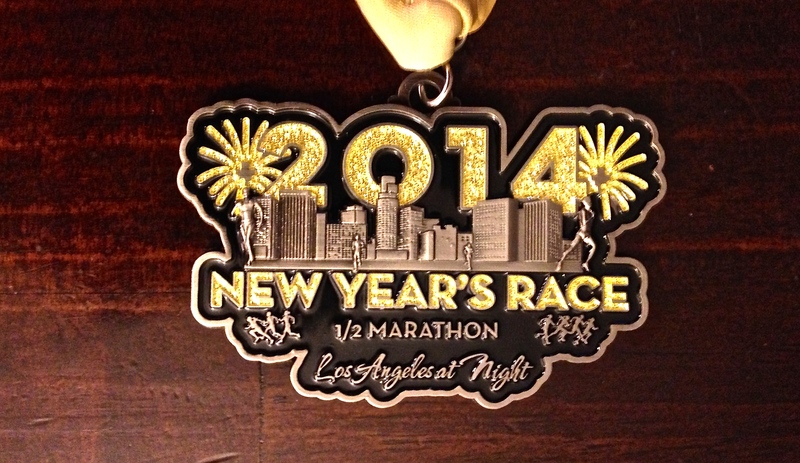 The New Year’s Race (Half Marathon and 5K) takes place the first Saturday of the New Year and to make things even more interesting, it’s a nighttime jaunt starting in downtown Los Angeles. 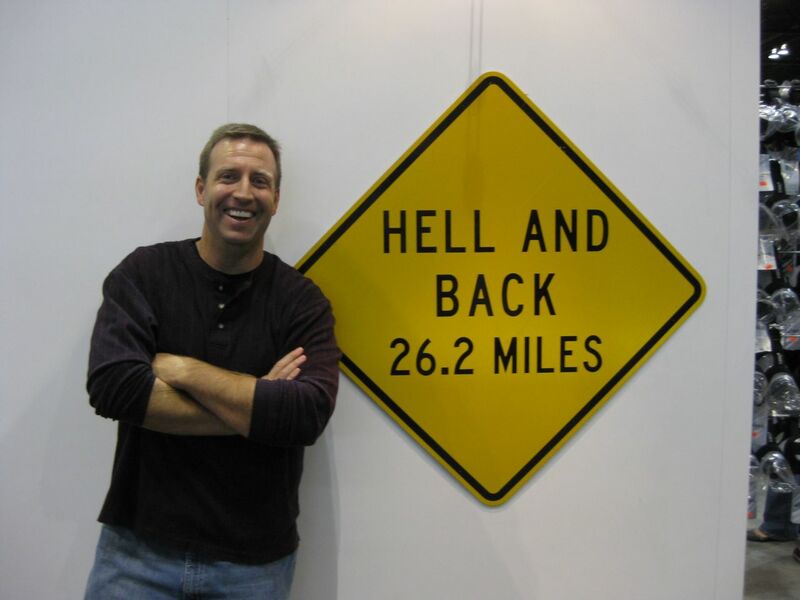 Last year’s race was the inaugural event and like all first year races, was plagued by a few course and organizational hiccups (aka growing pains). 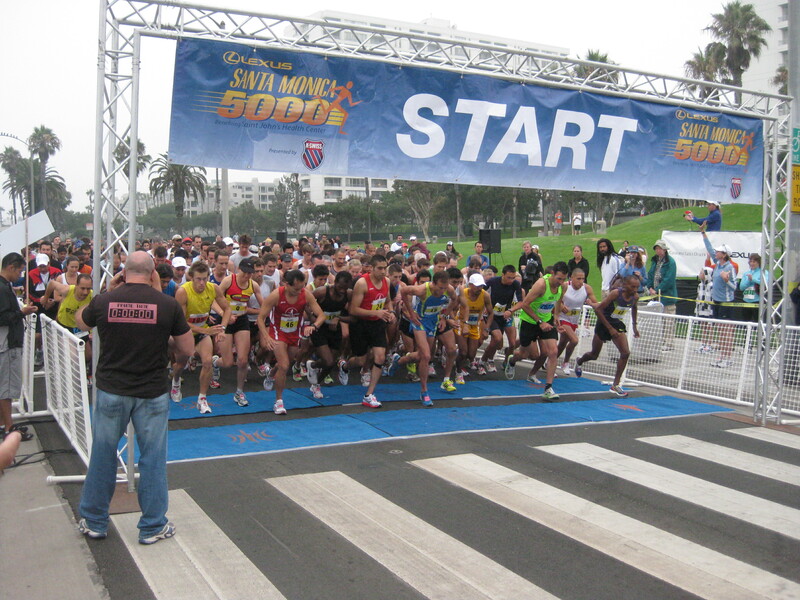 This year’s race featured 5,370 runners (1656 for the 5K and 3714 for the half Marathon) all raring to get 2014 rocking. A chance to put forth plans to create a new and better you (version 2.0)… finally getting in shape, spending more time out of the office, finishing that damn novel that’s been stuck on page 7 since 2011. Wonderful plans that usually fall by the wayside come February 1st (or even sooner).